Aging people are susceptible to alcoholism and medication addiction. The aging process changes how the body handles alcohol and medication, so the elderly can be at risk for alcoholism and addiction to prescription drugs. 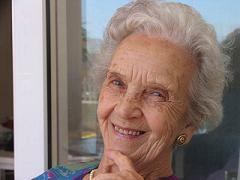 It is not uncommon for elderly people to develop alcoholism or an addiction to their medicines. Misuse can happen unintentionally. Read labels on your medication and follow the directions faithfully. If you’re taking medications for sleep, pain, anxiety or depression it is unsafe to drink alcohol. Check labels on all your medication. One alcoholic drink a day is the limit for anyone over the age of 65 who has not been diagnosed with a drinking problem (12 ounces of beer, 1.5 ounces of distilled spirits, or 5 ounces of wine). Always tell your doctor about any food or medication allergies you have. Inform your doctor about any food or medicine allergies you have. Keep track of side effects ad let your doctor know immediately about changes in the way you feel. At least once a year, get rid of old or expired medication. Have all your medicine reviewed by your doctor at least once a year. Tell your doctor or pharmacist about any previous conditions that might affect your ability to take certain medication ex. allergies, stroke, hypertension, heart disease, liver or lung problems. If you believe that there is a serious problem, you can find helpful pages on this site. You may also have to look for a rehab that has a geriatric program. At one time it was believed that the elderly have a poor success rate with addiction, but now recent studies have shown that they do very well in treatment. This may be exactly what your loved one needs. Private counseling can be very effective, AA or NA can also be helpful a rehab that has a residential geriatric program can give excellent results. To break their denial, it's important not to enable an alcoholic or drug addict. They won't like it, but you must stop because the more you enable, the less they'll change.